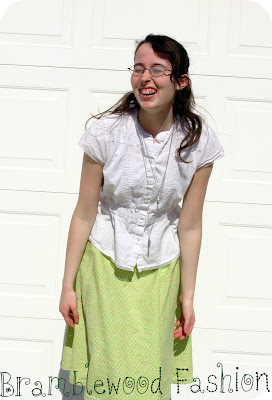 great skirt and the blouse is so pretty! I love it as usual! 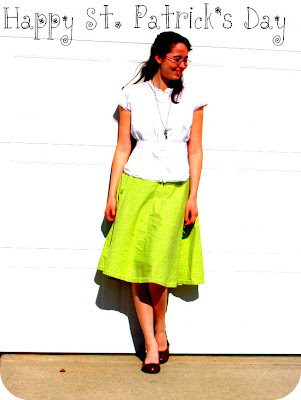 I wore a green skirt today as well, you can see it at my blog. What a cute outfit Ashley! of green. :) Have a nice Saint Paddy's day! I am actually going to send an e-mail out to some sewing students of mine, who I think would love to look at all your fashions and ideas. 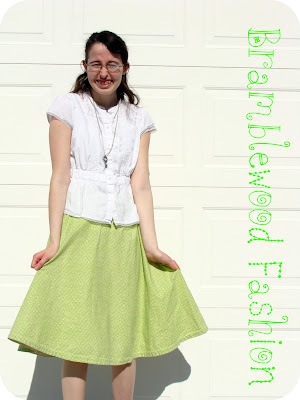 Thank you for having a pretty and modest fashion blog! That is a very rare find these days. Brielle - Your welcome! And thank you! It is encouraging to receive positive feedback on the blog.